Size | 4,906 sq. ft. INSPIRED BY THE LOVE OF FAMILY AND pursuing dreams FOR ALL ITS MEMBERS, A TRULY CUSTOM FAMILY HOME WOULD BECOME A RETREAT TO SIMULTANEOUSLY RECHARGE AND ACCELERATE QUALITY OF LIVING. 5 BEDROOMS, 4 ½ BATHROOMS. 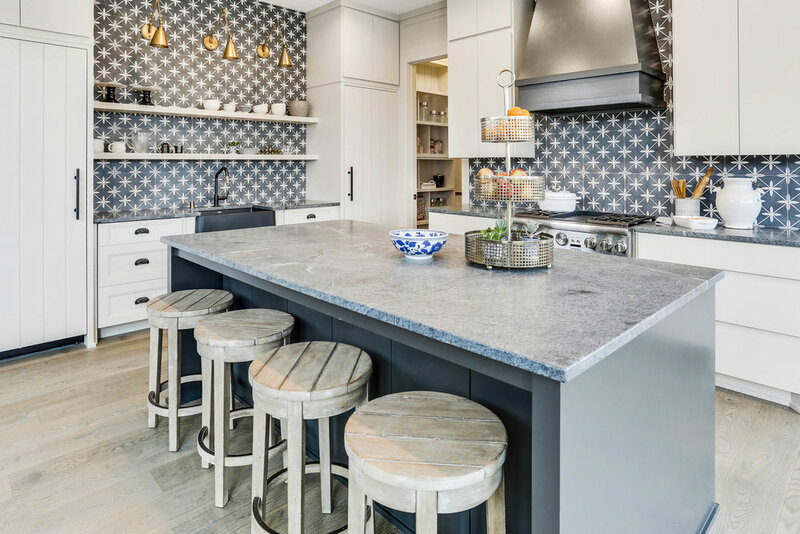 A BRILLIANTLY CLASSIC GOURMET KITCHEN EXPANDING TO THE DINING ROOM IS A MERRY MIX OF KHAKI, NAVY, BLACK, AND BRASS WITH DESIGNER tile backsplash used as wallpaper. 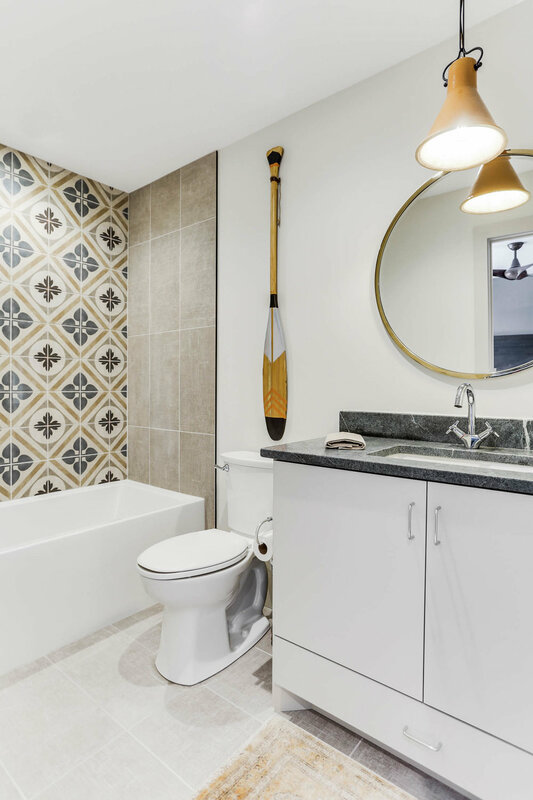 HEATED TILE FLOORS IN THE MUDROOM AND MASTER BATHROOM. 8” WIDE white OAK wood FLOORING in a smoke finish USED ON THE MAIN LEVEL, 2nd level loft, and basement BAR AREA. 2ND FLOOR LOFT FEATURES A CHARMING built-in DAYBED AND READING NOOK WITH A BOOKCASE SURROUND including CHARGING STATIONS. HIGH-END LIGHT FIXTURES THROUGHOUT. a HEATED 3-CAR GARAGE. 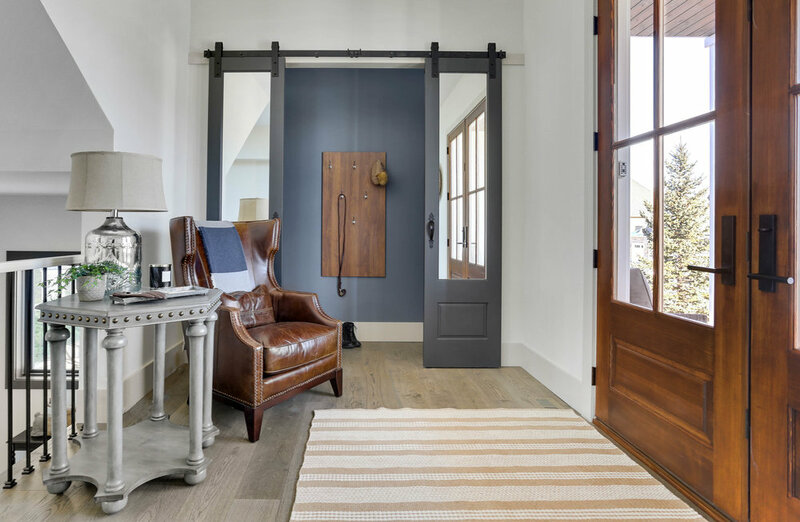 SPECIAL DETAILS such as FRENCH DOORS LEADING TO THE KITCHEN’S boutique WALK-IN PANTRY AND MAIN LEVEL DEN with picturesque nature views ARE A FEW OF THE ELEMENTS FEATURED IN THIS inspiring AND SPACIOUS RESIDENCE. 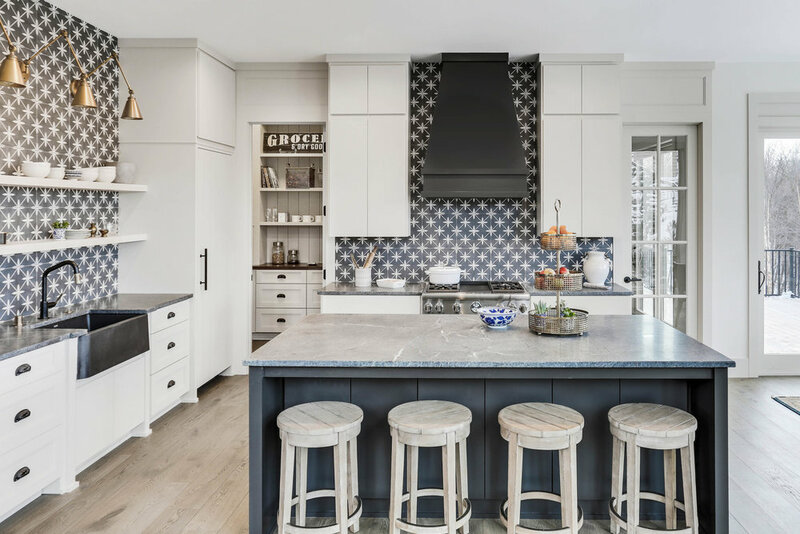 CUSTOM CABINETRY SYSTEMS ARE INCORPORATED THROUGHOUT THE HOME INCLUDING SHIPLAP WOOD-PANELED REFRIGERATOR AND FREEZER COLUMNS. THE 2-STORY GREAT ROOM BUILT-INS CONCEAL TV AND MEDIA COMPONENTS AND A DRY BAR. THE SOARING 2-STORY SHIPLAP CLAD FIREPLACE IN THE GREAT ROOM WITH 5 CLASSICALLY-APPOINTED LANTERNS SUSPENDED FROM THE 22’ TALL CEILING ADDS STATELY PRESENCE TO THIS IMPRESSIVE FAMILY GATHERING SPACE. 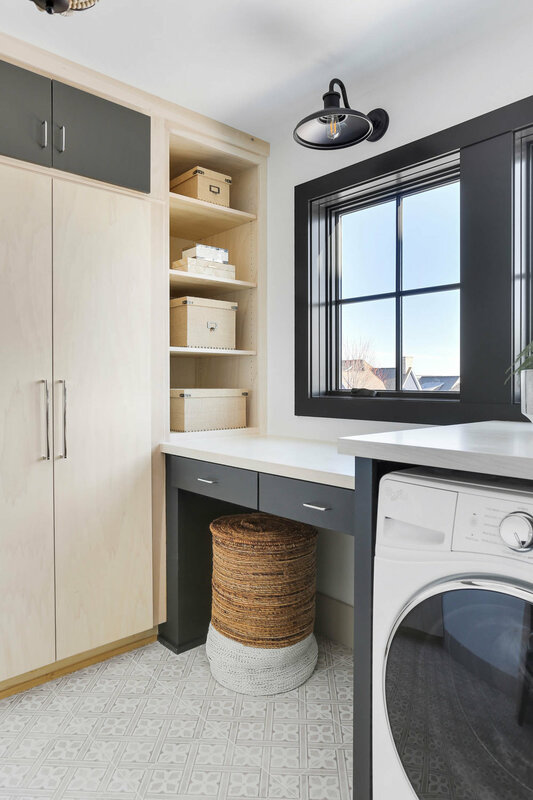 A LARGE NATURAL LIGHT-FILLED LAUNDRY ROOM WITH AMPLE STORAGE, CRAFT, AND GIFT WRAPPING CENTER DAZZLES WITH DESIGNER tile FLOORING AND a combination of bohemian and utilitarian LIGHT FIXTURES. CLEVER CUSTOM CLOSET SYSTEMS AND DESIGNER DETAILS THAT WOW! emtek DOOR HANDLE SETS WERE USED ON ALL SOLID CORE DOORS FEATURED THROUGHOUT THIS HOME. EXTRA WIDE HALLWAY WITH EYE-CATCHING SUCCESSION OF CEILING BEAMS AND LIGHT FIXTURES. MAIN LEVEL DECK WITH STAIRS LEADING TO THE BACKYARD AND A BASEMENT-LEVEL COVERED PATIO AREA PROMOTE OUTDOOR LIVING. the basement features an Atmospheric media room with an inspiring lighting installation, sleek and functional wet bar, and an impressive home gym with natural light. 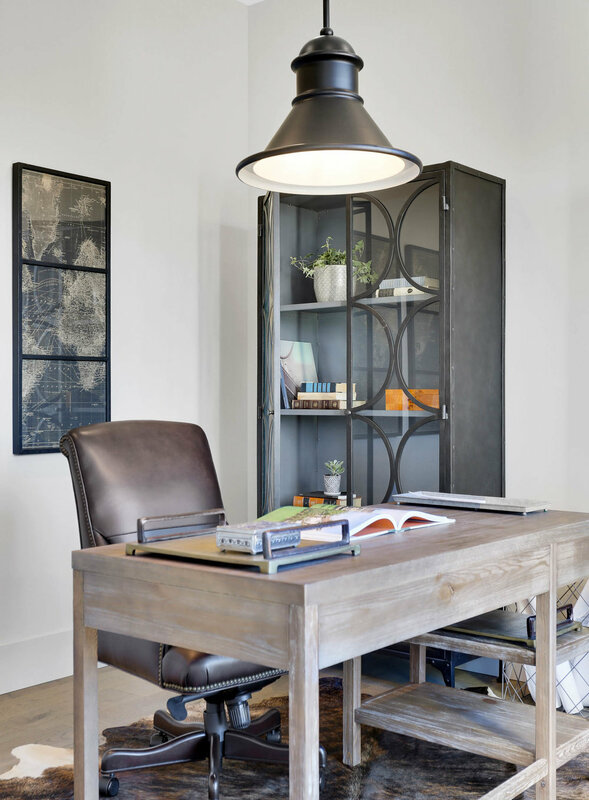 the skyla model EMBODIES THE SPIRIT OF FAMILY WITHOUT COMPROMISING ON STYLE AND FUNCTIONALITY IN th BOLD AND CONTEMPORARY WEST BAY HOME LOCATED IN THE PRESTIGIOUS WOODS OF RILEY CREEK.